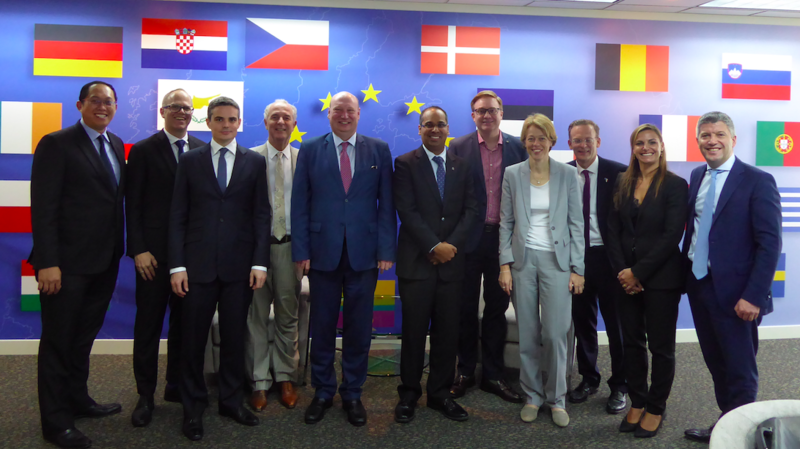 On 7th February 2018, EuroCham members from the transportation and aerospace industry were invited to exchange views with Director-General Henrik Hololei, DG for Mobility and Transport in the European Commission, on the DG-MOVE programme for 2018, the transport sector in Singapore and the region, and prospects for increasing our economic and trade relations. It was already DG Hololei’s sixth visit to Singapore in his current capacity, and many concrete outcomes have been achieved so far. DG Hololei informed our members on the outcomes of the first EU-ASEAN transport dialogue and the EU-Singapore meeting on intelligent transport systems that both took place at the end of 2017. He also introduced the one-stop-security arrangement for aviation that was signed with the Singapore Ministry of Transport Permanent Secretary Loh Ngai Seng the day before. This arrangement makes traveling smoother for travellers on flights from Europe and Singapore connecting through some European airports and Changi Airport. The aim is to engage more European airports in the near future. Furthermore, an update was provided on ongoing region-to-region negotiations for an EU-ASEAN Comprehensive Air Transport Agreement (CATA). DG Hololei asked for the viewpoints and input of our members for the upcoming EU-ASEAN transport dialogue in May as well as bilateral meetings with Singapore in June. 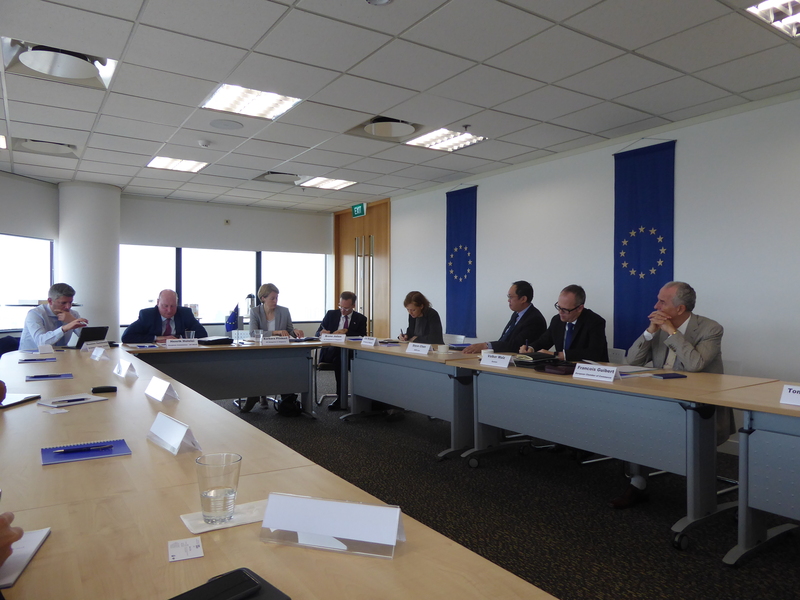 Topics that have been discussed include opportunities for European companies in the transport sector in Singapore and ASEAN, public tenders in Singapore, decarbonisation targets and the upcoming FTA between the EU and Singapore. EuroCham is looking forward to continuing our close collaboration with DG Hololei in 2018. Do keep an eye on our upcoming events to get involved yourself! 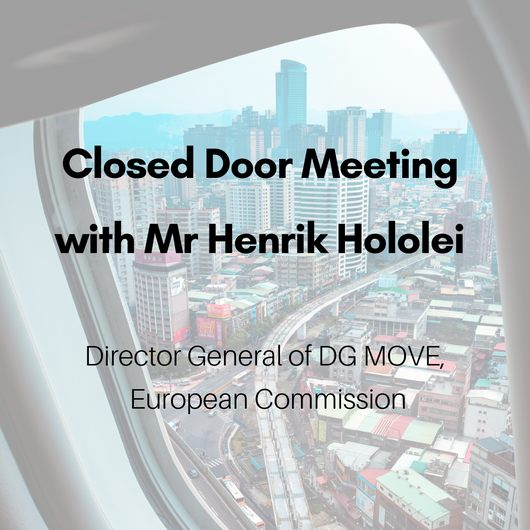 This closed-door meeting will give an opportunity for members in the Transportation and Aerospace industry to exchange views with Mr. Hololei on DG MOVE work programme for 2018, the situation of the transport sector in Singapore and in the region, the prospects for increasing our economic and trade relations, as well as the security risks faced by the air transport industry. 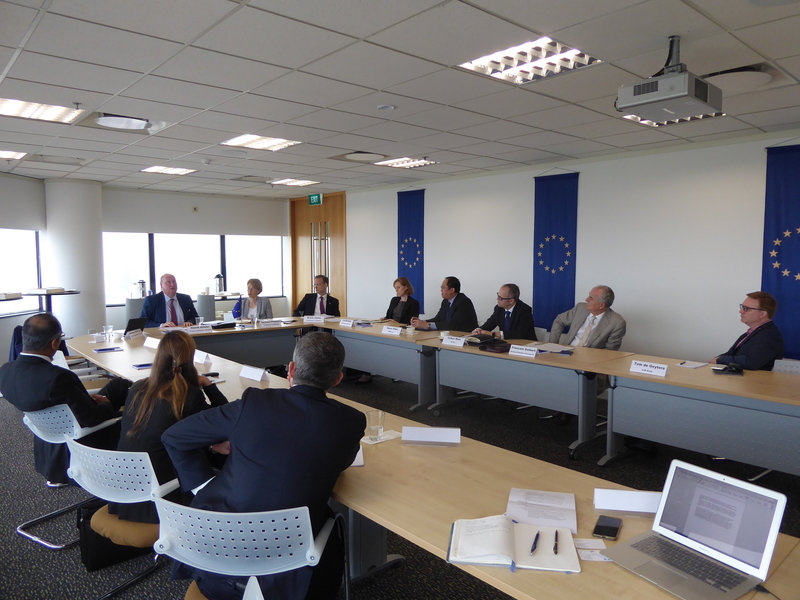 This meeting hosted by the European Chamber of Commerce, brings together member thoughts leaders from the Aerospace & Transportation Industry. 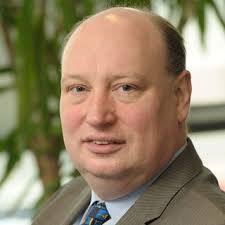 Mr. Hololei is the Brussels-based Director-General for Mobility and Transport in the European Commission. He has been working at the Commission since 2004. Before this, he was Head of Cabinet to Commissioner and Vice President Siim Kallas, both under his first mandate (2004-2010) of Administration, Audit and Anti-Fraud, and second (2010-2013) of Transport. Mr. Hololei is a qualified economist, with a Master’s degree in Economics at Tallinn Technical University and a Bachelor’s degree in Political Science and International Economy from Aarhaus University. He started his career in 1993 at the Finnish Foreign Trade Association before moving to work for the Estonian Government in Tallinn. During his career he was been won several awards including the Grand Cross of the Lion of Finland and the Chevalier de l’Ordre du Mérite by the President of France. In 2014, the Estonian European Movement named him the European of the Year. By invitation only. Send your RSVP to events@eurocham.org.sg.